There is no handbook that guides you what you should do and what not to do when you are getting your first credit card. 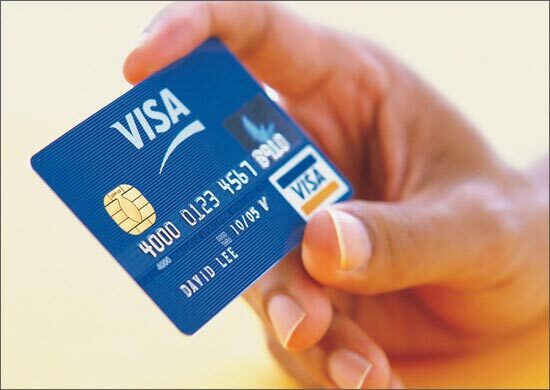 Every credit card has different interest rates and other fees associated with it. You should take advice of Your Personal Financial Mentor when you get your first credit card because he can guide you properly how to use it to your advantage without burying yourself under the pile of debt and interest payments. It is best to start off slow and work your way until you find yourself in a comfort zone. Always try to stay within your credit card limit so that the bill payment does not get out of hand. It is very common for banks to raise your credit limit and encourage you to do more spending after you have made a few payments. But it should not tempt you. You should try to control your spending even when the bank has raised the limit. This way, you will be able to save yourself from high interest cost and can manage your expenses accordingly without using your credit card lavishly. Moreover, you can also ask banks to keep your credit card limit to a certain level, and can request the bank to take your approval before increasing it. It has been observed that some people pay a small amount of their due credit card balance instead of making full payment of their bill. Do not fall into this habit. It will only increase your credit card debt and take forever to get rid of your unpaid balance. Always pay your balance in full without delaying any repayments unless you are in a critical position. You can sell off a luxury item to pay back the unpaid amount because you can get these small luxuries in the future but increasing rates and payments will not stop until you pay your balance in full. If you do not have a previous credit history, it is beneficial for you to take a secured credit card. Secured credit cards require you not to exceed the cash deposit you make. This deposit acts as collateral. If you do not pay the full balance or have any overdue balance, it will be deducted from the collateral. It works the same way as debit cards with one exception and that is, no amount is deducted from the collateral as long as you make the full payments. Also, if you use your secured credit card carefully and make full payment every month, it provides you a smooth transition to an unsecured credit card where you are not required to maintain any cash deposit. Using a credit card does not harm you until you it in a careless manner. A careless use can damage your credit worthiness and can adversely impact your credit score. Therefore, always use it properly because it can help you manage yourself financially to achieve financial goals and lead to a solid financial path when you want to buy a new house or you want to raise a new car loan. If you are not careful about obtaining and using your credit card, you can easily slip under piles of debt much before you realize it. Just like every important purchase made, shop around to know about who provides you the best deal rather than asking your bank to issue you one. Thank you for attention on this matter.